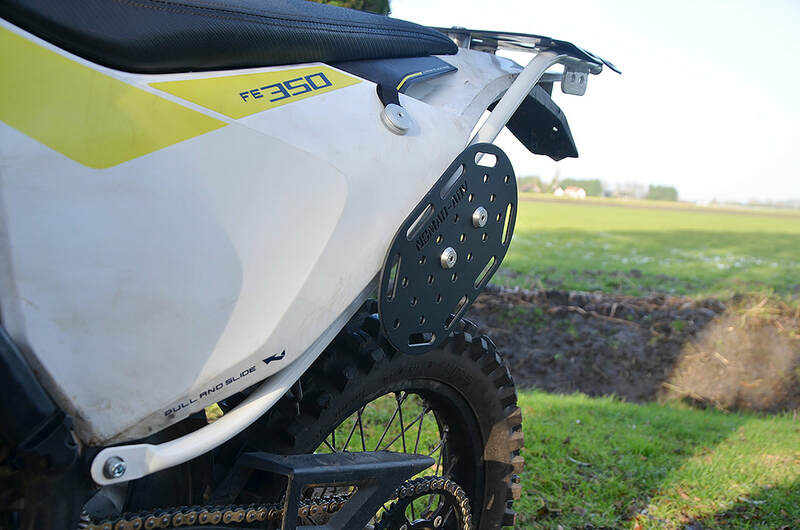 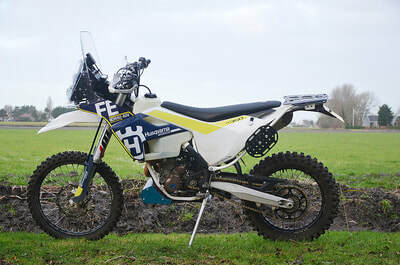 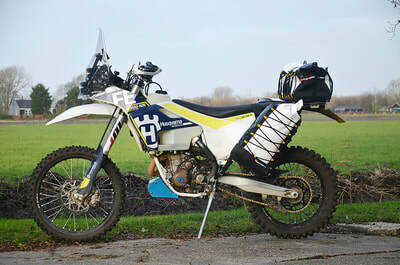 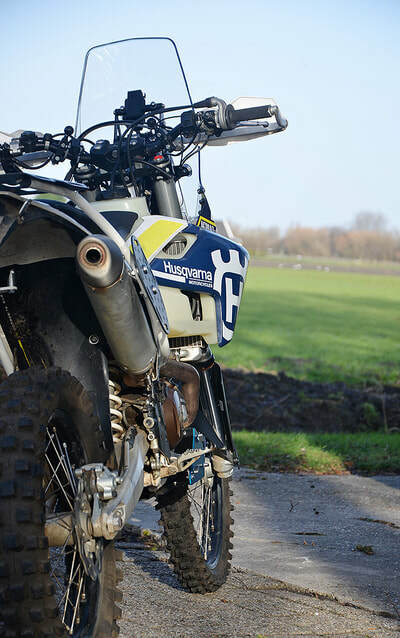 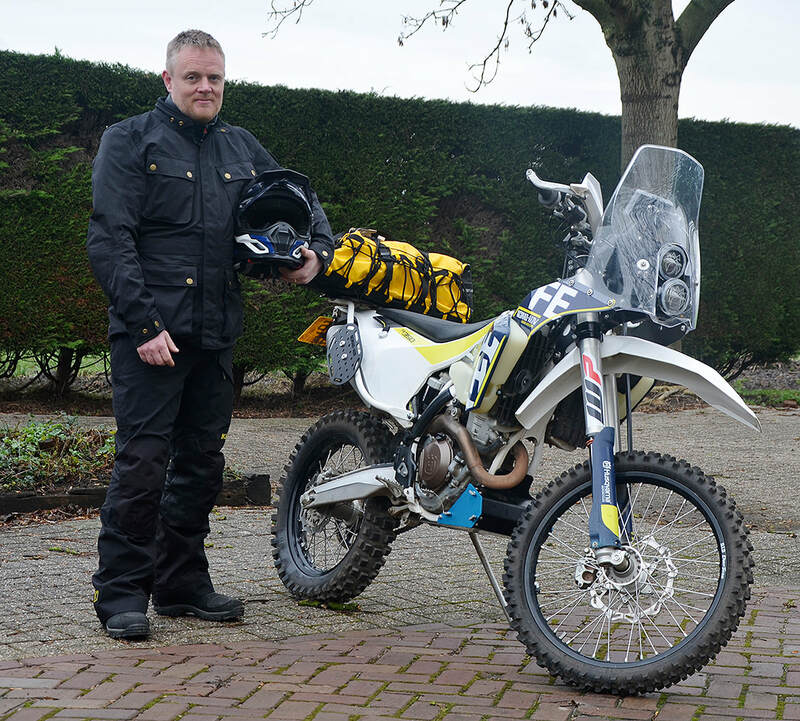 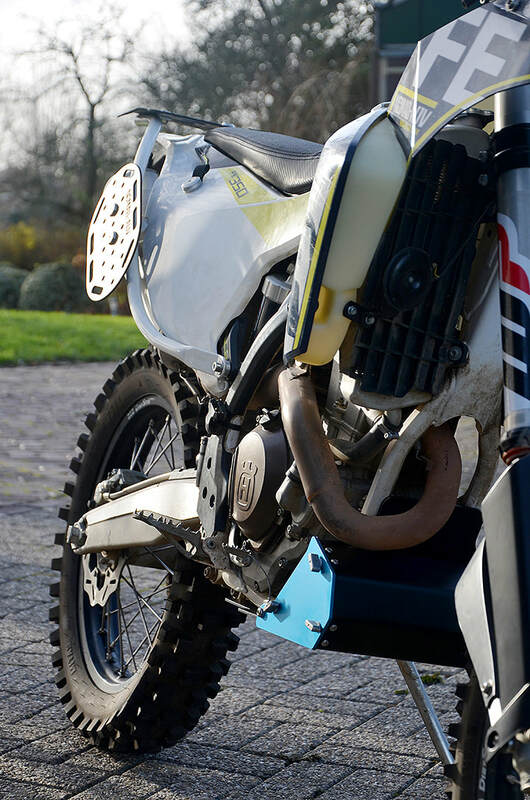 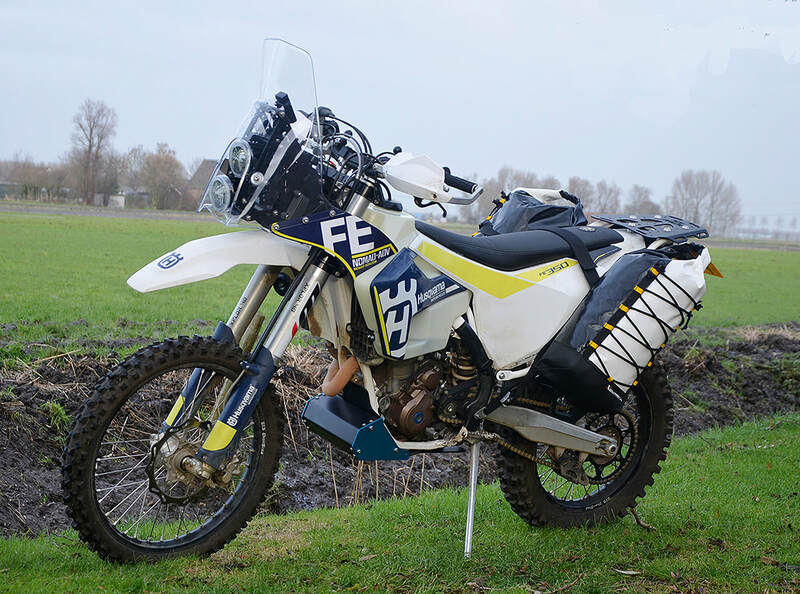 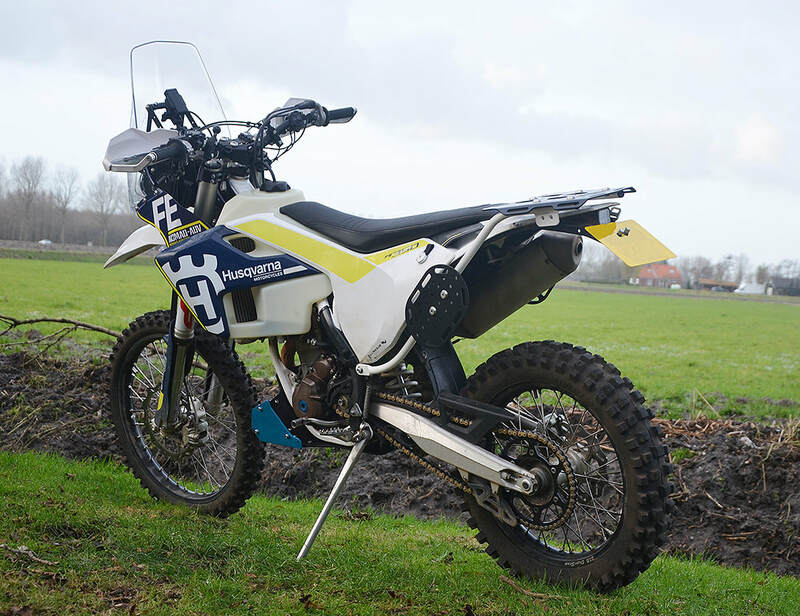 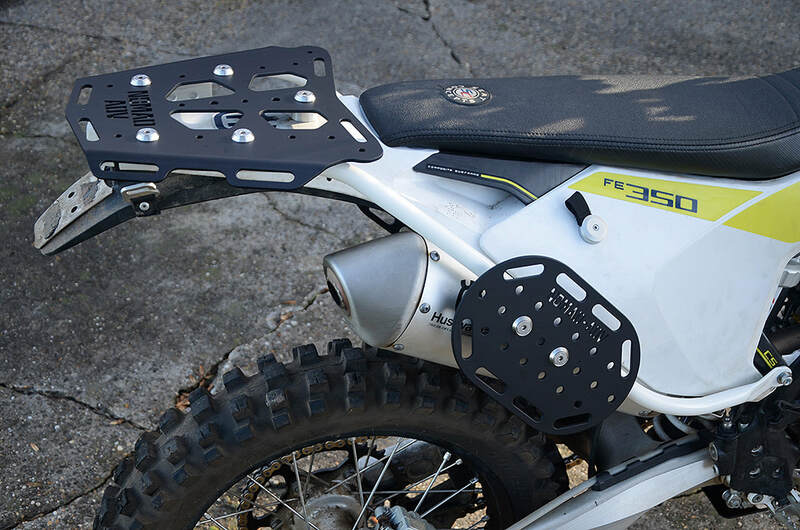 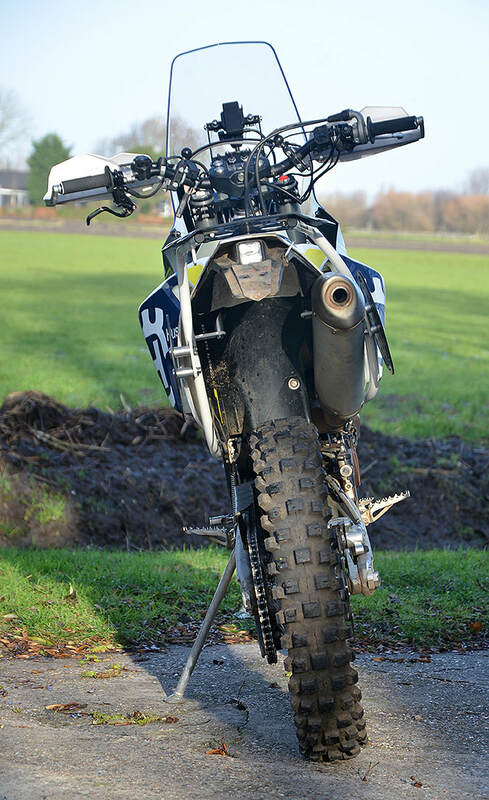 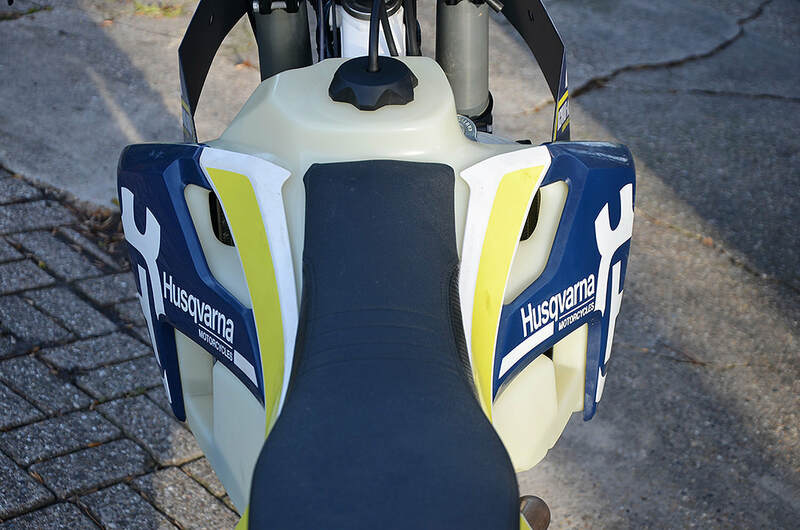 We were keen to do a proper conversion of the Husqvarna FE range, for which we saw a market right here in Europe now that the Trans European Trail has been opened. We knew the KTM/Husky engines were good, brilliant in fact. Well made, easy to service, loads of power and torque and good fuel consumption figures to boot. 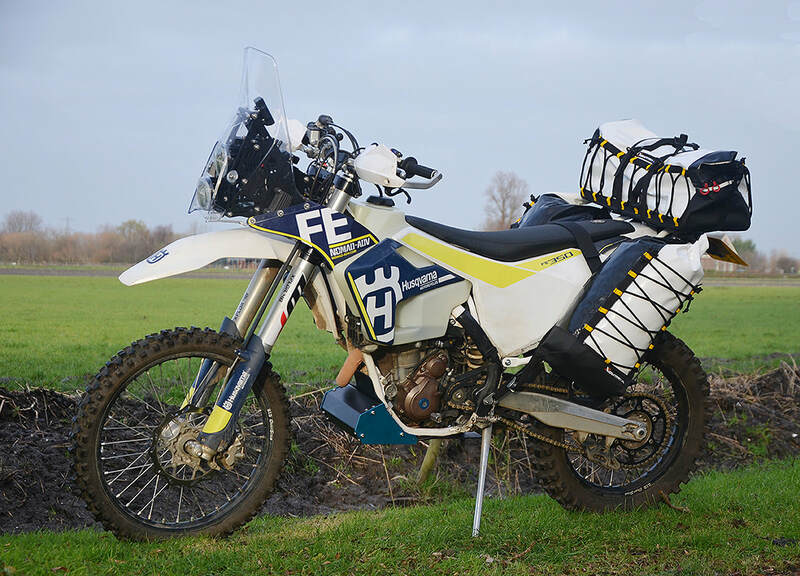 Riders like Aaron Steinmann have proved that you can travel the world on the Husky/KTM 500 enduro engine, which can cover 70,000 km without any problems (more on which later...). 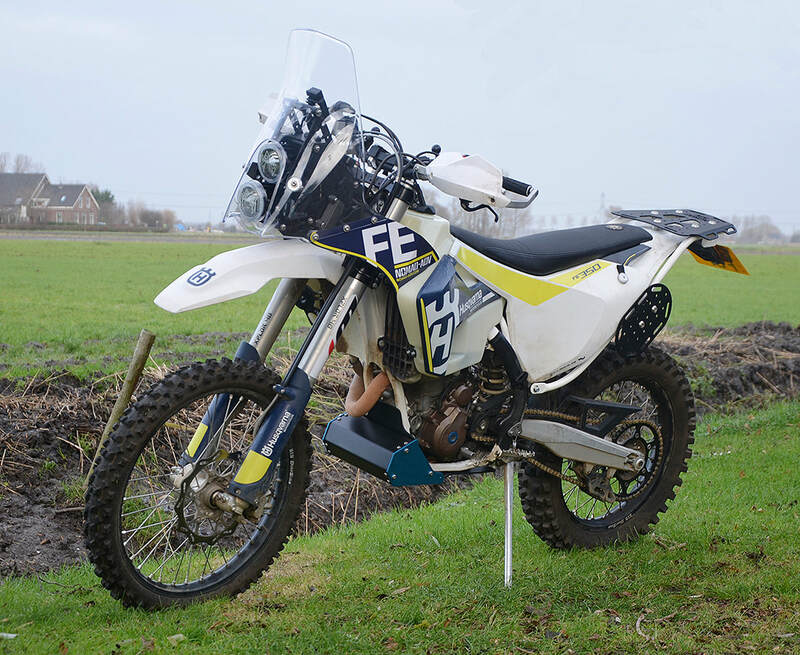 Andrew was so impressed with the 701 conversion we made for him that he offered us his FE350 as well! 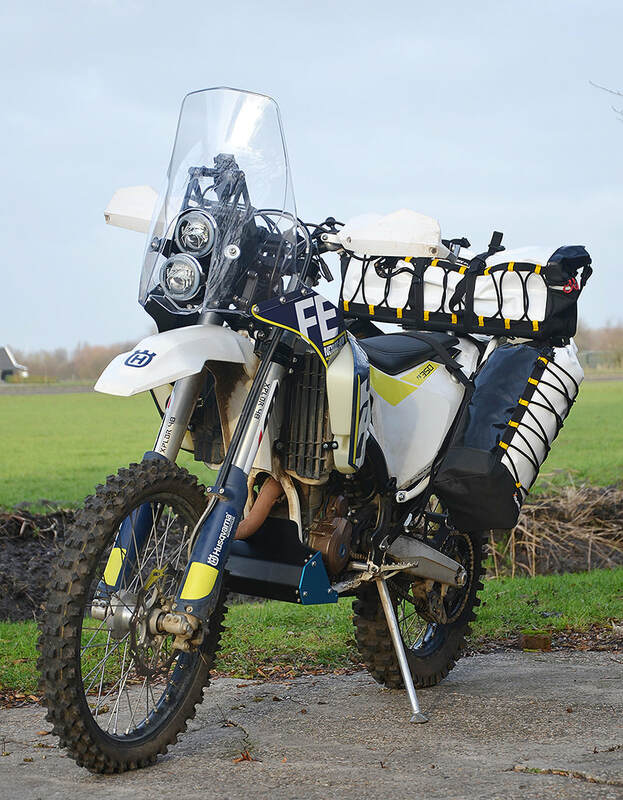 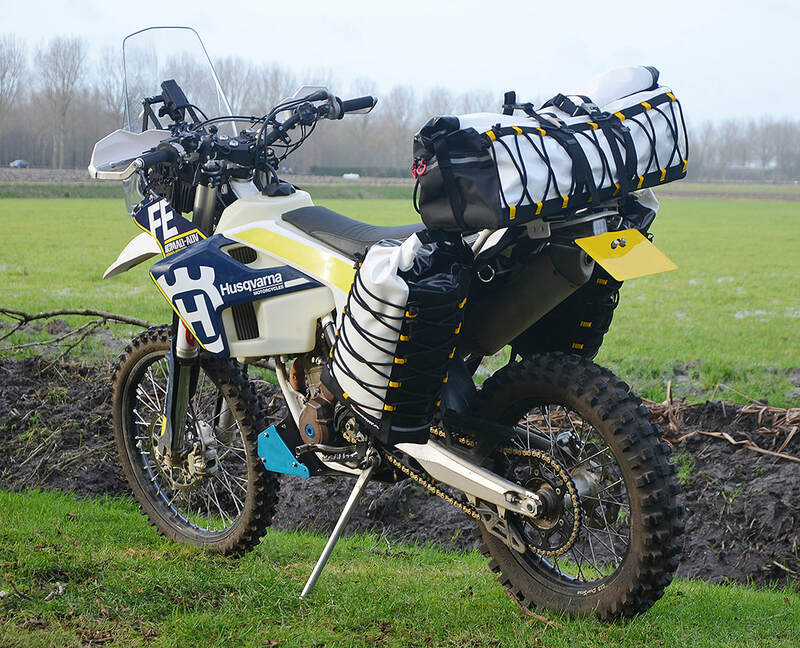 We've adapted our 701 design tower for it, made a skid plate with toolbox and a rear luggage rack which can hold a Rotopax, duffle and soft luggage. We wanted a larger fuel tank for it too and fitted a 17 litre IMS tank for several reasons. They are well made, re-use the original plastics which means the bike looks visually the same and there are no issues with stickers peeling from the tank. 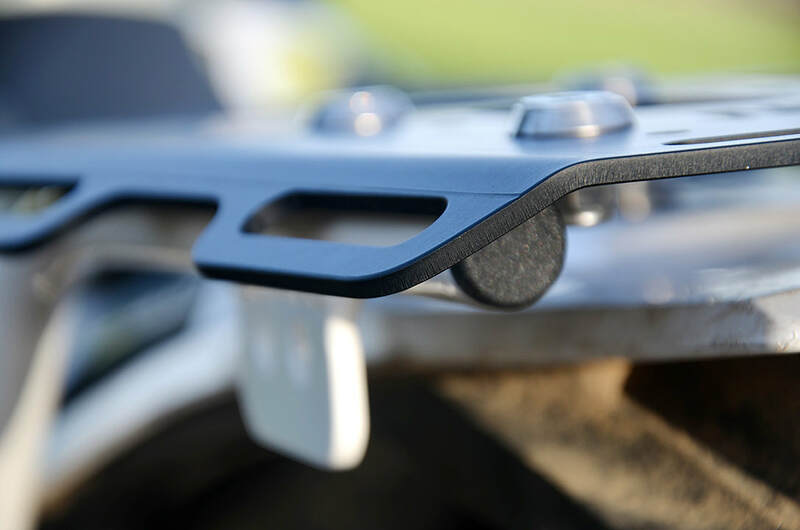 Most importantly though, they are well designed and therefore allow full rider movement while still having plenty of extra fuel.